Old flour mill on the corner of Capper Street and Adelong Road. Where Tumut Valley Tyre Service is now. 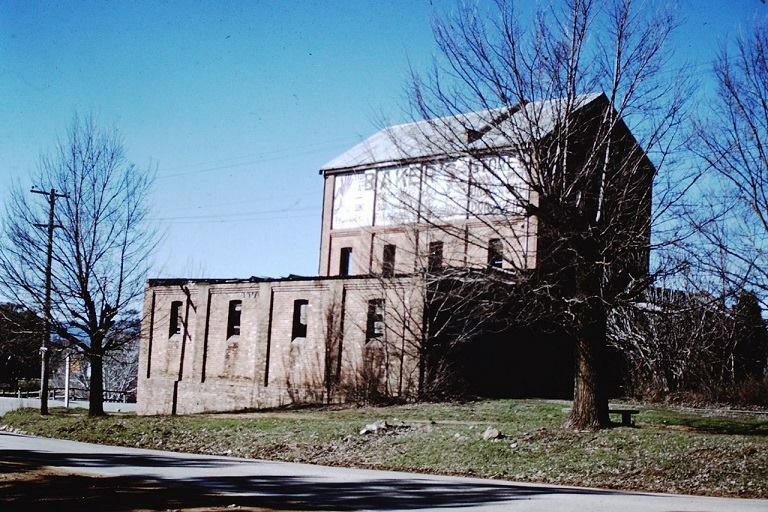 In 1903 (when the fly came to Tumut) this mill was purchased by G.F. Grill, a storekeeper. He erected a modern mill near the railway at the intersection of the Gundagai and Adelong Roads. This “Old Mill” stood in later years unused, and a landmark until 1964 when it was demolished to make way for a modern Service Station.